STRONGER THAN STEEL is a first-hand account of the decline and revival of a city that was once the national poster child of deindustrialization, but is now the model of adaptation to a post-industrial economy. Jeffrey A. Parks, creator of Musikfest shares the highs and lows of a thirty-year adventure in urban revitalization in a city with 275 years of historic preservation, attractive downtown public spaces and diverse architecture. During the most desperate of times, the community leveraged its historic district, downtown parks developed during the period of urban blight removal, an old banana warehouse and ultimately a former steel plant, to reinvent the city for the creative economy of the twenty-first century. The author escorts readers on a journey from the quaint colonial Moravian village, that today represents the largest collection of colonial- era Germanic style buildings in the United States, through the industrial revolution and early twentieth-century boom to the bust of deindustrialization. Seen through the prism of public policies ranging from blight removal to historic preservation to downtown public housing, the author shares the tale of a small town with big city advisers. Today’s Bethlehem was planned by New York’s Clarke & Rapuano, the landscape architects best known for their work with Robert Moses. Beginning in 1955 through 1973, with funding from Bethlehem Steel, Clarke & Rapuano planned for massive blight removal, development of downtown parks, creation of Pennsylvania’s first historic district and the fantasy of a massive downtown development in a small city that was home to an international company. 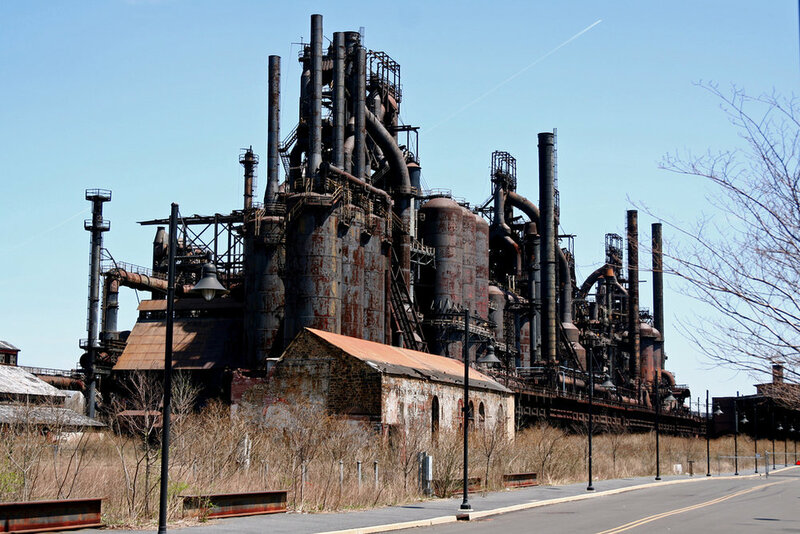 As the Bethlehem Steel Corporation began its descent into bankruptcy, funding and appetite for massive downtown development collapsed, leaving the community to its own resources. In 1984, Musikfest was introduced as a nine-day festival in a city known for its musical heritage. 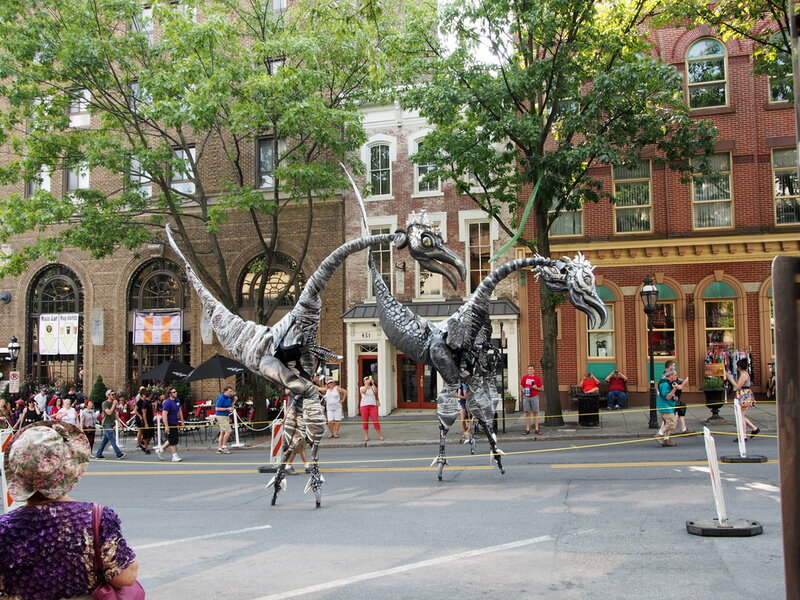 The festival took advantage of the restored Victorian Main Street, its adjacent parks, and the charm of the colonial buildings. As it grew from five outdoor “platzes” (performance venues) to fifteen platzes in the downtown Historic District it’s audience expanded to over one million annually, bringing much needed patrons and publicity to struggling retail district. The use of a variety of public spaces, including ones perilously close to active railroad tracks demonstrates the opportunities for former industrial cities. As the festival organization grew it created a 65,000 square foot cultural center in a former banana distribution center, and ultimately a 10 acre campus at the foot of the former steel company’s blast furnace array, a project that includes a contemporary performing arts center. The author shares the design processes for buildings and campuses that exhibit the best practices in creative placemaking, and have been a major component in contributing to the city’s revival. STRONGER THAN STEEL is a passionate outreach to architects, planners, artists, arts organizations, community leaders and public officials to design urban spaces for community connectivity. 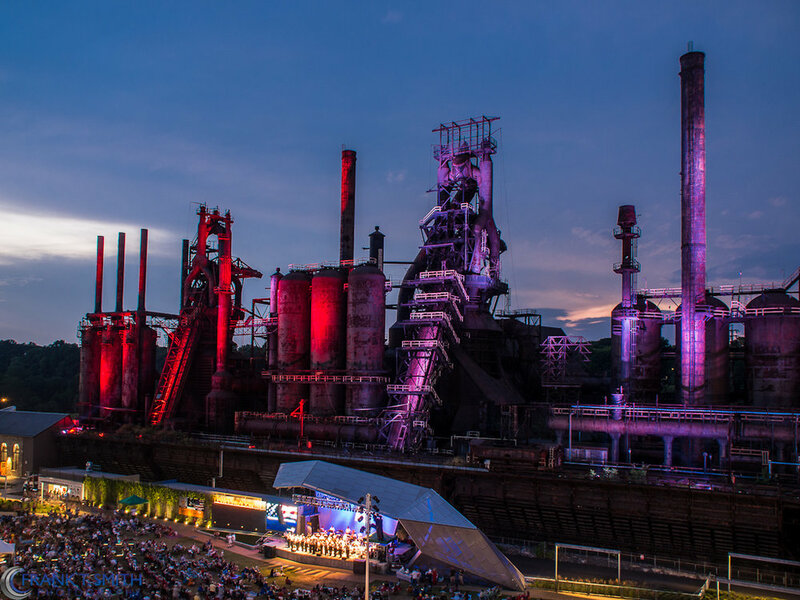 With ArtsQuest, the parent non-profit that presents Musikfest and the arts programs developed over 30 years, generating over six billion media impressions globally, Parks notes that the arts have a significant influence on a city’s brand. That brand is attracting investment, artists and creative workers to the community.